About Me: Graphic artist with passion for design. My Interests: Photography, graphic design, and software. Welcome! I love to create custom cards for special occasions - whether it's weddings, anniversaries, birthdays, bar mitzvah or graduations. 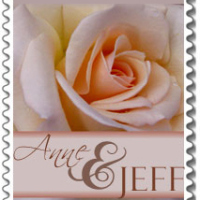 If you would like custom cards, buttons, stickers or postage, please feel free to visit my website at www.perfectpostage.com. Your cards are all fabulous!!! I love your style!! I hope you makes lots of money. Love your cards. Browsing through your store brought new beautiful cards on every page! You have some very nice cards here, love the collage "love birds" - very beautiful!